Official FA England football merchandise. 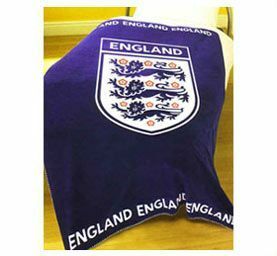 100% polyester England fleece blanket printed with England 3 lions logo. Ideal for the garden, picnics or as a throw over. Official FA England football merchandise. 100% polyester England fleece blanket printed with England 3 lions logo. Machine washable at 40C. Ideal for the garden, picnics or as a throw over.